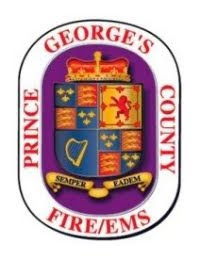 Prince George’s County Fire Investigators have determined the cause and origin of the fire that on occurred on Tuesday, June 7, 2011, at 5428 85th Avenue in New Carrollton. The cause of the fire is “accidental” and is attributed to a malfunctioning HVAC unit on the second floor (B level). HVAC units are located just off individual apartment unit exterior balconies. Fire loss is estimated at $250,000. In addition to the four civilians injured during the evacuation, a firefighter sustained injuries while performing overhaul operations after the fire had been extinguished. He was treated and released from an area hospital for his injury. These photos are credited to Billy McNeel, Citizen Services Unit.